This book was a real pain to read. Sorry. Into the Dark was a book that I think had a pretty interesting concept but lacks on certain aspects like the uniqueness of the heroine, and the lack of world building, and the romance. And despite its faults, I forgave it because it was a first book and I believed that the second book would offer answers and make things better. But I was stand corrected. I'm not saying that Into the Light is bad. I think that it's just not my read. Let me tell you why it didn't work for me (and possibly this is going to be a rant like in The Reaper so forgive me). Let me first go with my main problem with the book -- what everyone is really fighting for. They're fighting for 'freedom'. I guess that's the best term for it. But no, it's not like your dystopian-we're-being-oppressed-and-unequally-treated freedom. The setup is basically this: god created guardians to guide people to 'into the light' but the a guardian fell in love with a human. Main cause of problem: forbidden love. Reason why it lasted so long: everyone has generally been stubborn and prideful and selfish. UGH. WHY? Let me explain. Everyone's stubborn because they strongly wanted to happen whatever it is they wanted to happen. When they disobeyed god, god punished them - they became breachers (which also became a very conflicting concept in terms of calling them immortals -- which I will rant about later). Which I'd say is fair. Eternally living in the earth is painful. The breachers' desire to live (despite being called immortals) cost so many, MANY lives. Imagine: they've been living for years, decades even (it was not mention. ugh) and they HAD to enter a host body in order to stay on earth. The WORSE part is that the only was they can get out of the body is to kill the person (which they basically did so many times. AND I ETERNALLY HATE THEM FOR THAT!). These, of course, make them stubborn and selfish or me. --BUTTTTT the question is: why did they want to live for years if it was painful? They want love and freedom. But they could have done that in one life time. Why spend more than one life? Why rob humans of their life? BECAUSE THEY ARE THAT SELFISH! --ABOUT THE BREACHERS: They were said to be immortals. In a way, they are. When they take over a human body, they take over that life. They can never leave that body unless the kill it. When they kill it, they can move on to another body. OKAY? BUT in reality they are not immortal. This was later revealed in the novel. When they leave a human body and did not enter another human body in a specific period of time, they die/disappear/move on to purgatory (or afterlife or WHAT!) -- that's basically how I understand it. NOW, given this nature of breachers, here's what they should have done instead: live one human life (if they really want to live because Nathaniel did! but then he didn't. lol.) and when they leave that body, let themselves die/disappear or whatever the heck it is that happens to them!! Because later on in the book, Nathaniel was 'dying' so he entered another human body which basically caused a more problems. UGH. Just how selfish can they be? ANYWAY, setting that issue aside. I haven't talked about this so-called god. And this so-called god is also prideful and stubborn. Here's why: (1) he doesn't want to directly kill or punish those who disobeyed thus all the inconveniences -- the breachers, the annoying ability of breachers, and the hunters. (2) because god is selfish and prideful he doesn't want Mercy to overpower him so he wants to kill her. She's like GOD. She has this unusually strong ability to stop and give life and breach bodies as she wishes and manipulate thoughts. (and I'm basically like HOW!? How can a god-like human be born? but that's basically beyond me). and (3) god's actually pretty sensible if you ask me. He wants to kill the breachers because he basically wants to bring balance to the world. 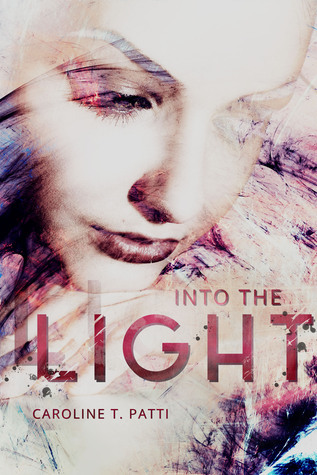 OVERALL, Into the Light is a disappoint sequel and final book (for me). I was not able to fully talk about everything but several things annoyed me (check out points below! ).BUT this does not mean that the book was not good. It just isn't my read. I was disappointed that it didn't give me what I was hoping for -- further family relationship, further character on Mercy (because she's too bloodydamn generic! ), a decent explanation for things, and an accepted ending. BUT please don't make me stop you from grabbing this book. It might not just be for me. Check out these reviews from goodreads: Nancy (The Avid Reader), Stephanie Ward, and Hannah Orr. WEEKEND READS | Reading Thrillers! WEEKEND READS | Mystery-a-thon anyone?